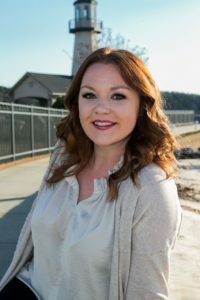 To Tabitha, the most important thing is relationships; relationships with other Realtors, marina staff, local business owners, lenders, and especially clients. The ability to relate to people from all walks of life is one of her greatest gifts. She takes pride in providing everyone with the same level of quality customer service they deserve. Although Tabitha grew up in south Alabama she developed an instant passion for Lake Martin. The first time she visited the lake she knew that’s where she wanted to be. Within a year she was managing property and assisting in sales. Now, a full time REALTOR, Tabitha enjoys showing property by water and letting each client experience the lake life like a local. Whether it’s jumping from “The Rock” or sitting on a dock at sunset, each client takes away memories that will last a lifetime.